If you are able, give handyman aid to widows. This can be a one-day event or something you choose to do as a long-term commitment. Probably this kind of help will be done quite some time later after the funeral. What you offer depends on your skill level. Even though my father hadn’t died yet(he was in the late stages of Alzheimer’s) in essence my mother was already a widow. You can’t imagine all of the little needs she had and continues to have now that he is gone. My husband and I regularly take care of her “honey-dos”. Sometimes they get bigger than our small skills can handle. I arrange workers for her and then am there to oversee them. We do any number of things. Since she is not part of the “techie” generation we are often called upon to help with answering machines, computers, televisions, VCR/DVD players, and cell phones. In my house this is my husband’s department! We help hook up and take down garden hoses. 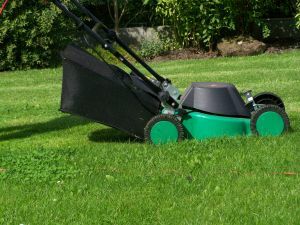 Snow blow driveways in winter, mow lawns in summer. A lot of these don’t take great skill - just a healthy body. But they are things that most of us can do for someone in need. If you are not nearby consider resourcing your loved ones church. Or check with the United Way, they can let you know if there are any volunteers in your area that could help. If that is not an option, you can locate and hire a reputable handyman for them. Some people (like my mom) aren’t very good at asking for help. I find that one of the best ways to help them is to say “I have this or that day free and would like to come over with my tool box. Will you prepare a list of the things you need done?” then they don’t have to call you and ask. The above is a very practical book written by Cathy Peterson. It could be a good resource in giving ideas on how to help the bereaved. I know people really mean it when they offer help, but unless you offer a specific time or service they may not be brave enough or have the energy to call you.